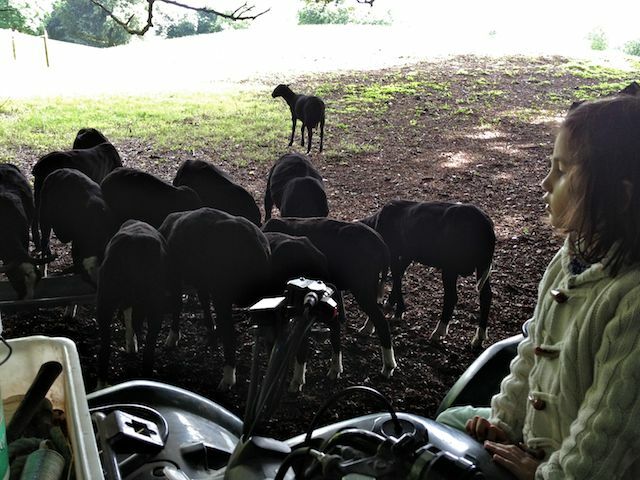 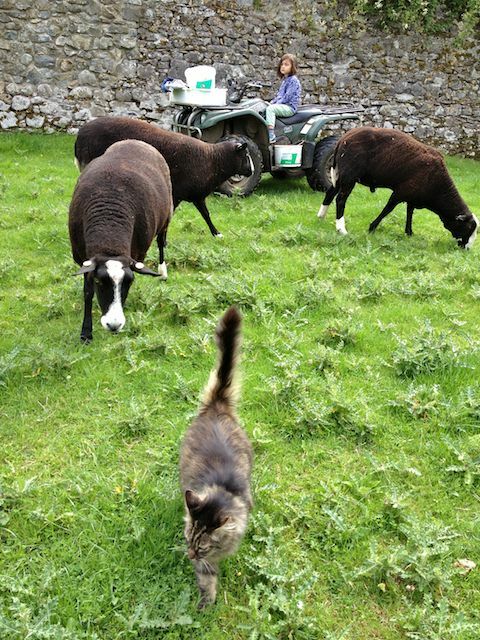 She was very brave as all the ram lambs came crowding around looking for breakfast. 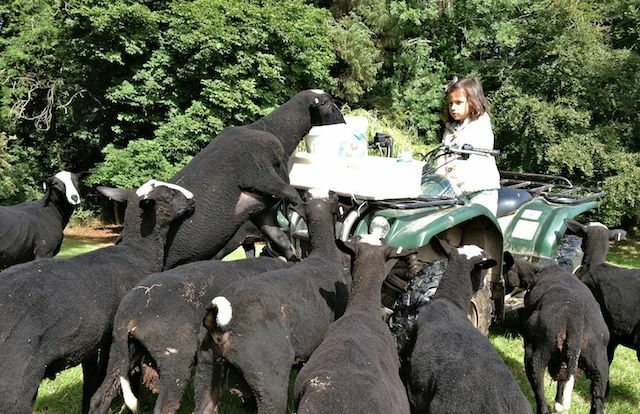 Facing off a Pack of Hungry Ram Lambs. The lambs all settled when we put the feed in their trough. 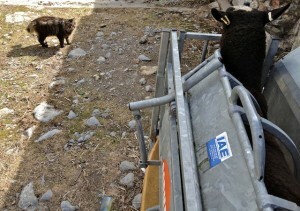 Next we had to go to The Welchman and his visiting ladies. The orchard was beautifully dappled in the morning sun light. 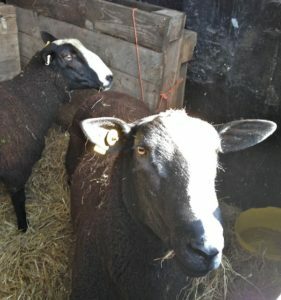 As the visiting ladies were leaving today I had to make a small pen for all the rams to get used to each other again in; which I constructed out of pallets. 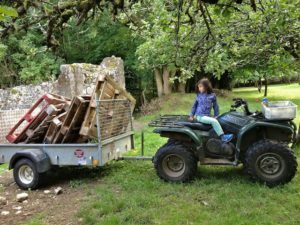 So my niece and I collected pallets to build the ram’s confinement pen. 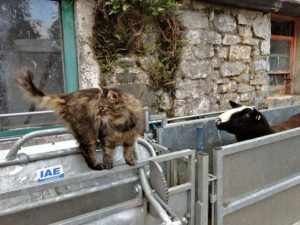 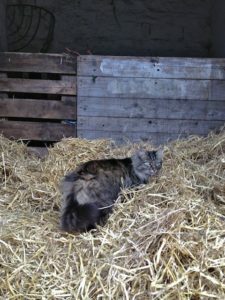 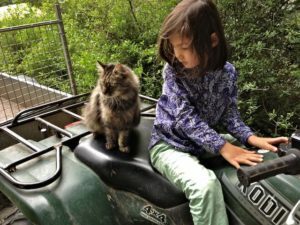 When I have constructed the ram pen Mr.B the Cat shepherd has to inspect the bedding to make sure all is well. 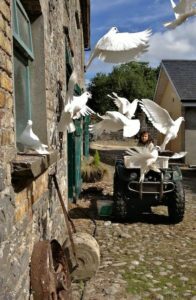 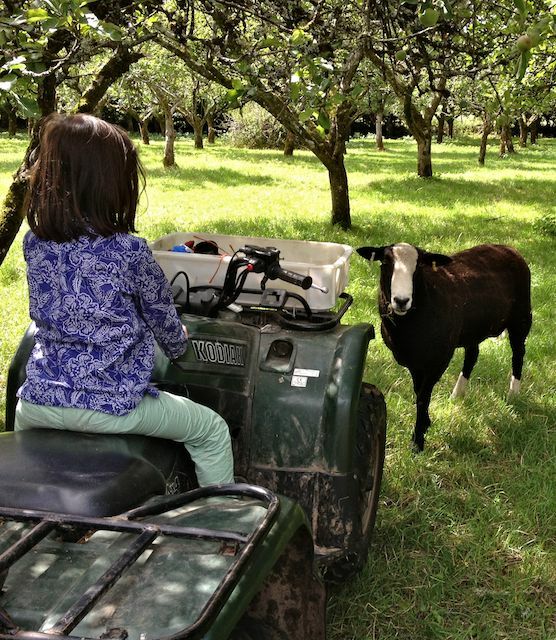 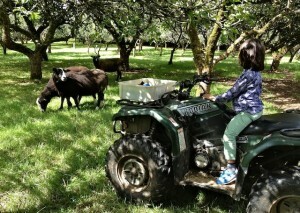 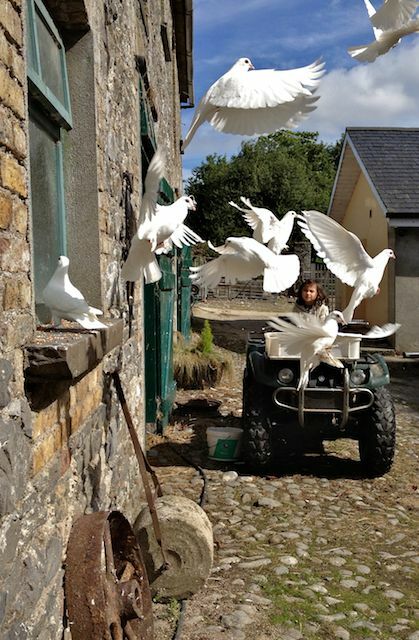 The next job is going up to the orchard and bringing down the Welchman and his small flock of ladies. 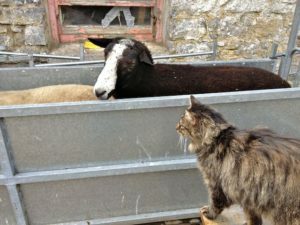 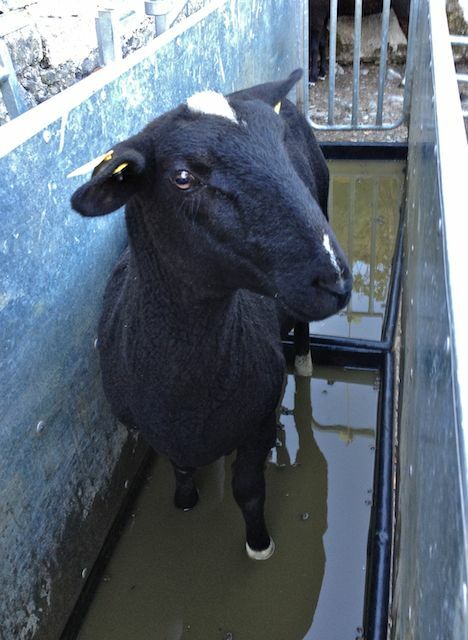 Once we are down in the yards I separate out the ewes and put all the rams through the run for a foot bath. 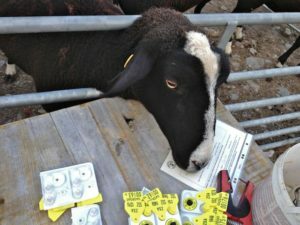 Bodacious is there to over see the operation and make sure all is done well. When I let the rams out of the foot bath I have to move them as quickly as possible into their confinement pen before any fights break out and heads get smashed. 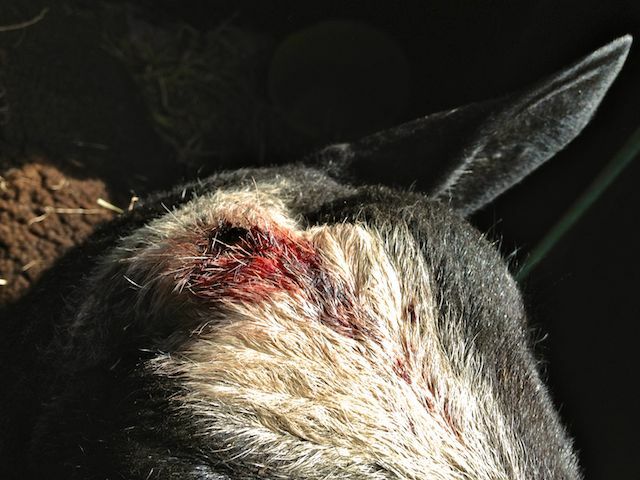 Even in the tight quarters of the pen they can still damage each other but not as badly as they might if loose with loads of space to get head banging momentum. 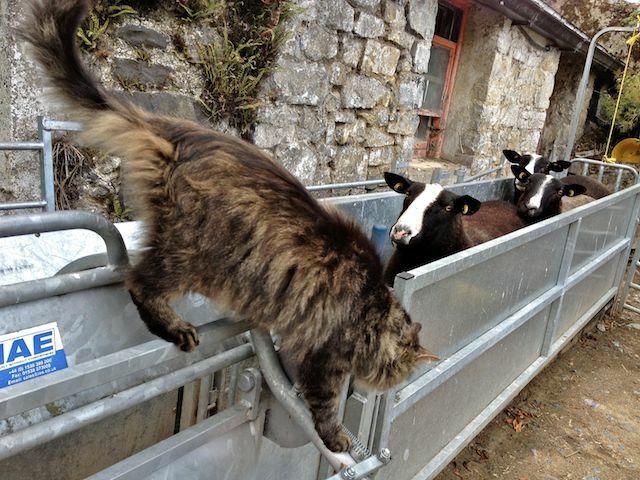 Finally nearly the last job of the day is getting the visiting ewes ready to depart. 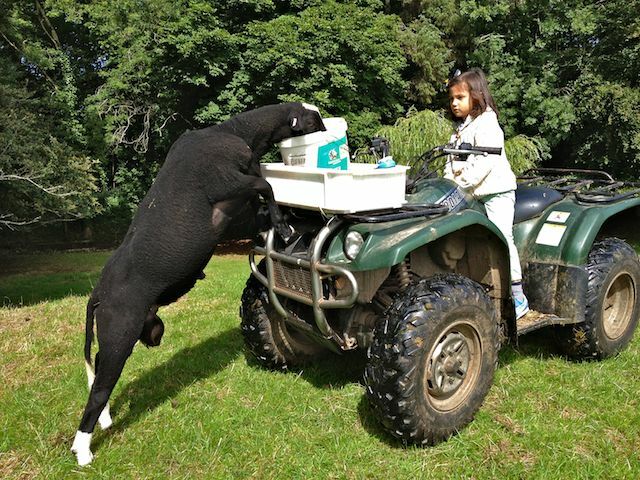 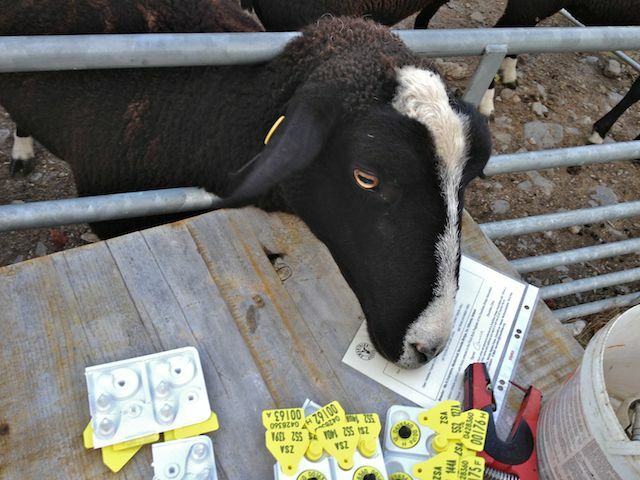 The final job of the day is catching and tagging a ewe lamb who is departing for a new home. 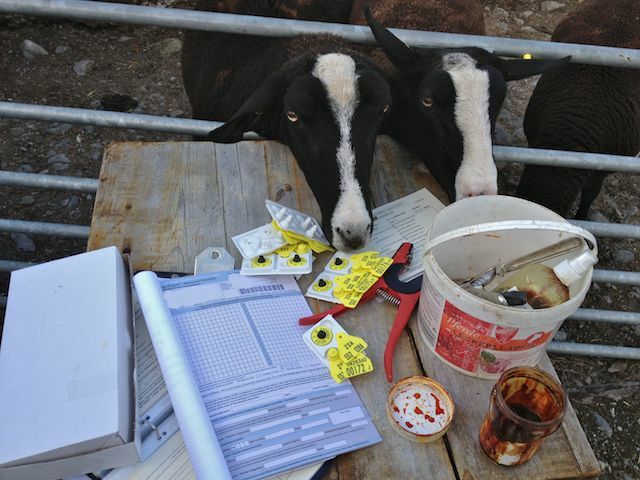 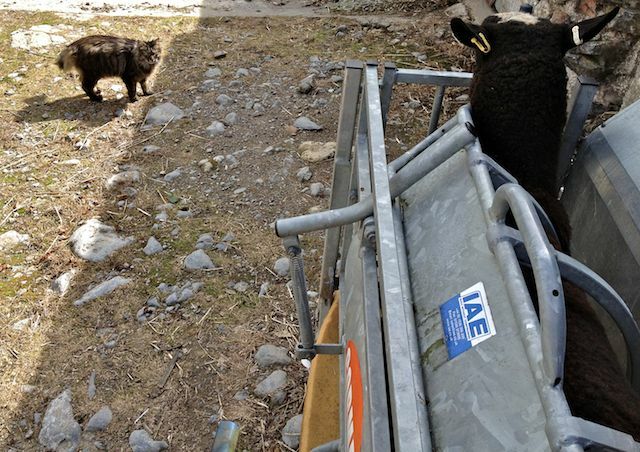 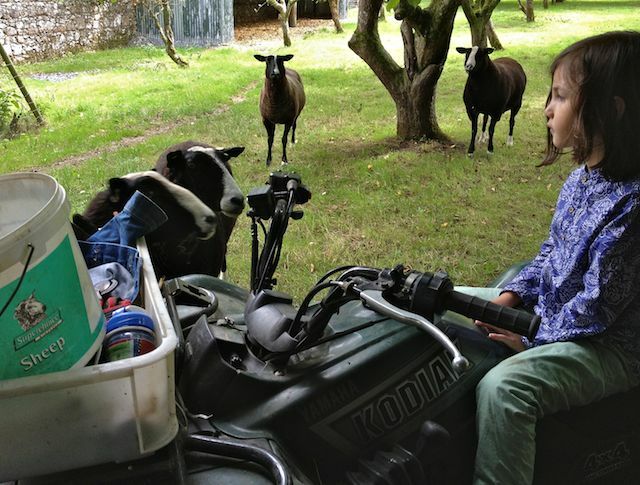 Pippy Longstockings and the lambs Mother are a curious pair and want to know what I am doing so over see the job of tagging, transportation paper work and the ewe lamb Amelia’s breeding certificate.